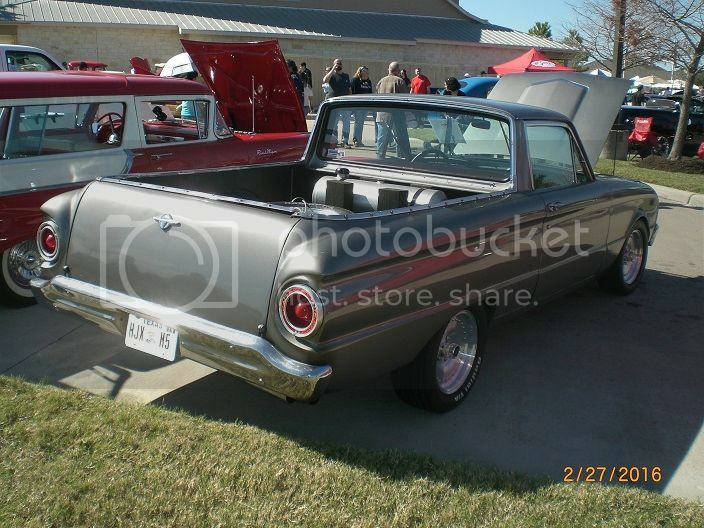 The attached photos of my '62 Ranchero are from the Towne Lake car show in Cypress, Texas. Recent improvements to the Ranchero at that time included: front disc brakes, front Centerline 15" X 5.5" wheels and 205 60R15 BF Goodrich Radial T/A tires, a Centerline/BF Goodrich Radial T/A spare, rolled front fenders, new hood hinges and prop rod. Next to me on the left is a '57 Ford Ranch Wagon, closely related to the '57 Ranchero. 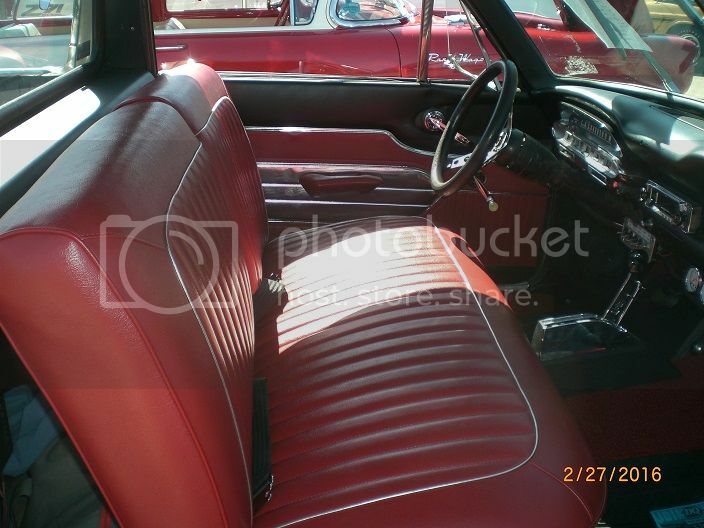 I like the deep red color ("Flame Red"); I'd like to use that as one of the colors for my future two tone paint. Although you can't tell from this photo, the passenger side door seals, window felts and door panel are not yet finished. Although I performed a front disc brake swap, I haven't changed out the master cylinder yet. You can still see the "fruit jar" single chamber master cylinder in this photo. 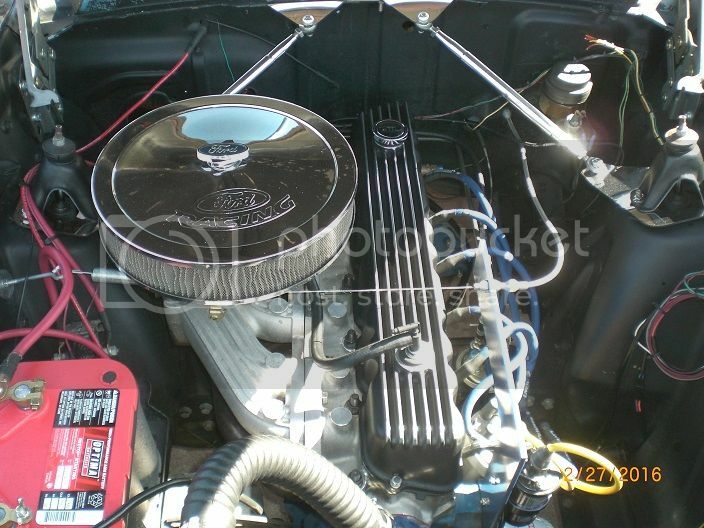 Bob you did such a great job on that 62 Ranchero!